Short coil with side-mounted solder lugs. Used in many Bally electro-mechanical (EM) games for scoring chimes 28.5 ohms. Replaces Bally # CD-29-1600. 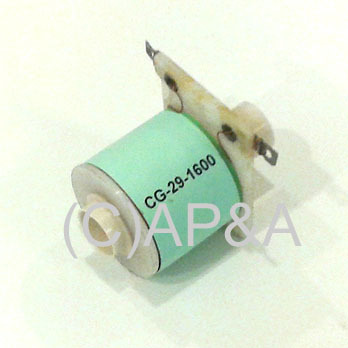 Includes flanged coil sleeve # 03-7067.